Bridie Young, a doyenne of Scotland’s plant industry, died suddenly but peacefully at her home in Dunblane last month. She was 90. 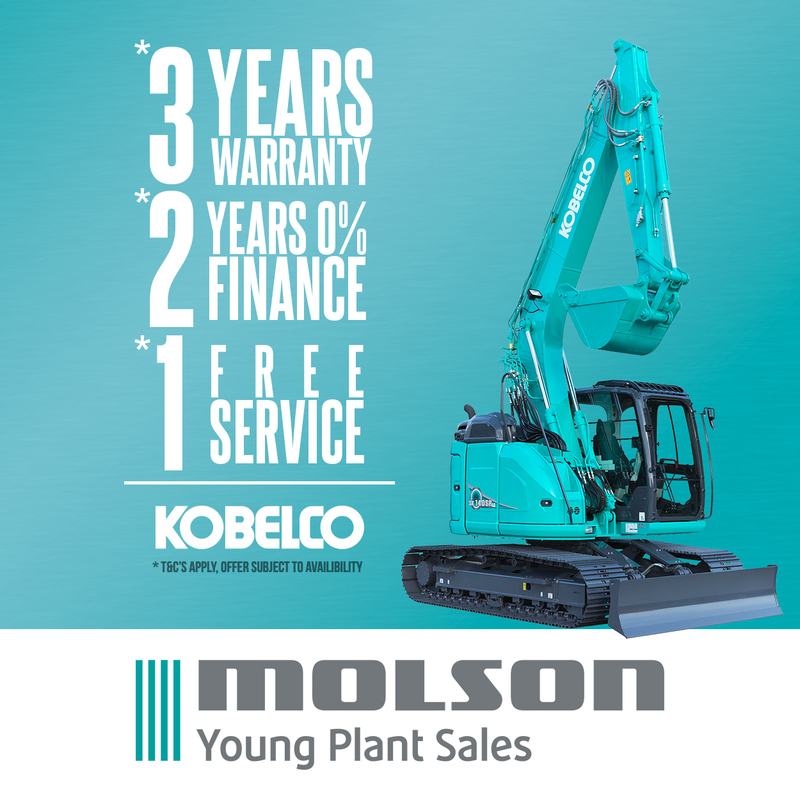 With her husband the late Tom Young, she founded Young Plant Sales in May 1978, laying the foundations for what would become one of the country’s leading multi-franchise plant dealers. 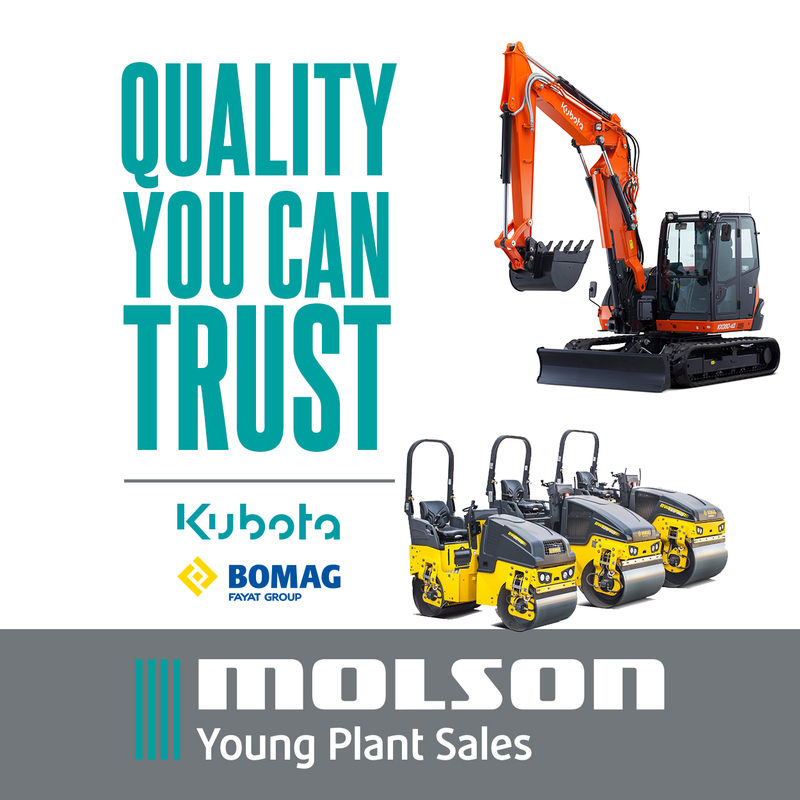 The company was credited with introducing mini excavators to Scotland when it was awarded the franchise for Kubota equipment, which it continues to sell 38 years later. Bridie McKenna was born in Ballybay, Ireland in February 1925 and was the youngest of 13 children. In 1948 she became a State Registered Nurse and went on to become a midwife. She served at St. Thomas’s Hospital in London but spent most of her early working life as a sister at Manchester Royal Infirmary. She met Tom Young at a Caledonian Society dance in Manchester in 1952 and they married the following year. 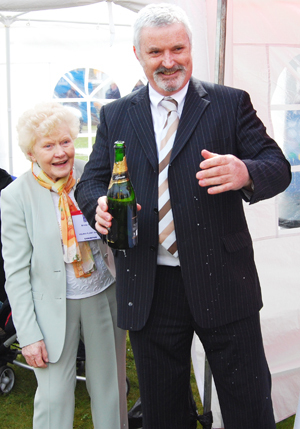 Celebrating 30 years in business, with son and managing director Brian in 2008. 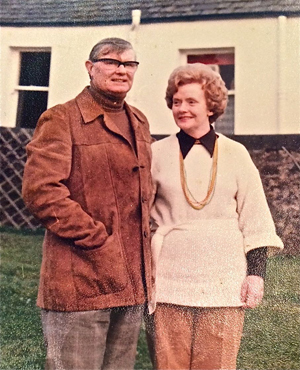 Young Plant is known for its hospitality and Bridie was famous for the scones and cakes she would bake in prodigious quantities for visitors to the Doune headquarters or to the company’s stand at exhibitions. Although she retired five years ago, Bridie continued to attend trade events, most recently the Black Isle Show in August. And it was at the same exhibition in the late ‘90s that she would suffer an embarrassing episode. As the team started breaking down the stand Bridie left to answer a call of nature and after discovering the main toilet block was locked, counted herself fortunate when she found a Portaloo. Unfortunately while she was inside a forklift truck arrived, lifted it into the air and started driving across the field. Luckily, the occupant of a neighbouring loo was able to alert the driver. Many charities and worthwhile causes benefited from Bridie’s support, including Strathcarron Hospice, the Glasgow Western Infirmary, the Church, Mary’s Meals, SMA Fathers, The Orbis Eye Clinic and various children’s charities. She supported school building in Africa, particularly Popandi in Nigeria where she also sponsored several small children throughout their education and wellbeing. One of them carries the name Bridie Young Kamet.